I can’t really explain it, but I have been on a bit of a “wing” kick lately. 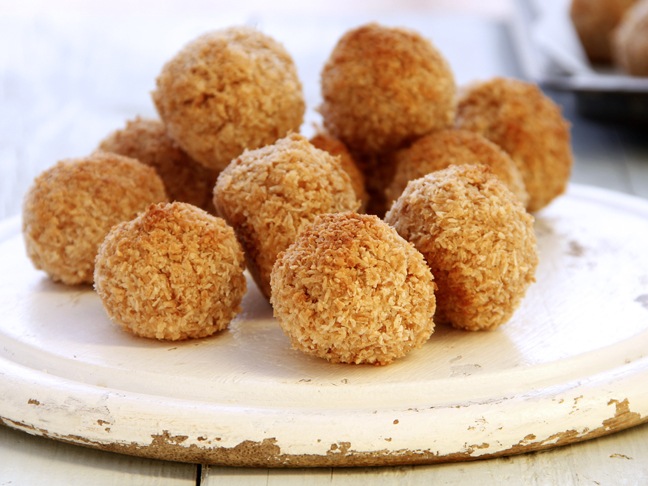 We have them several nights a week, and they’re always my go-to choice as a snack when entertaining. 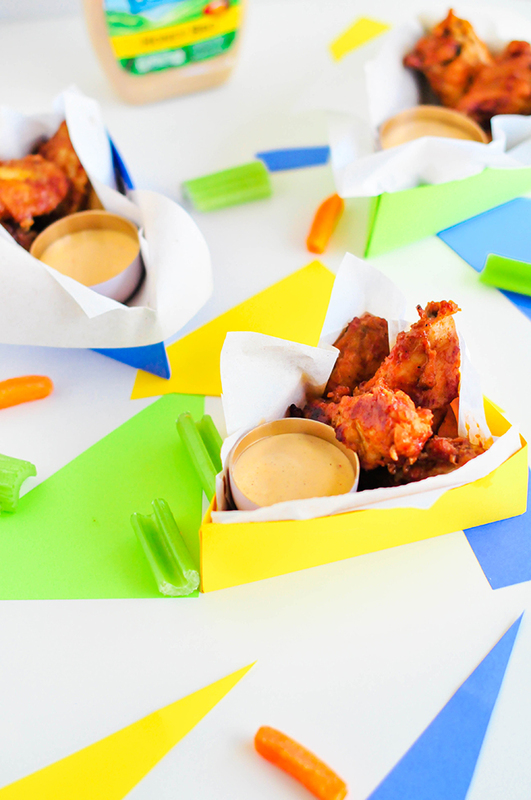 Serving wings at a party can be logistically complicated…where do people put their finished bones? 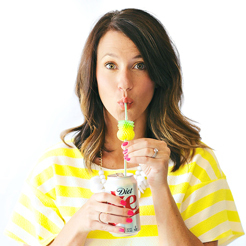 What if they want to double dip in the Ranch dressing? 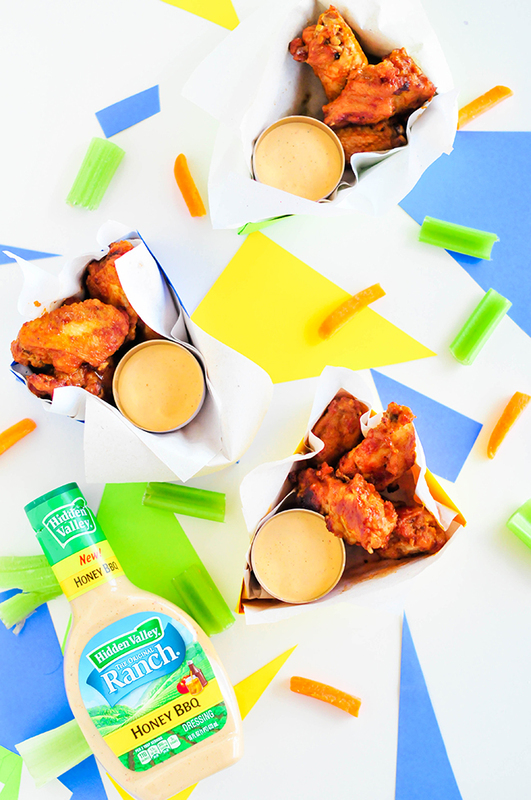 The easiest solution is obviously to put out individual wing boxes, each filled with a serving of wings and an individual portion of Hidden Valley Honey BBQ Original Ranch Dressing. 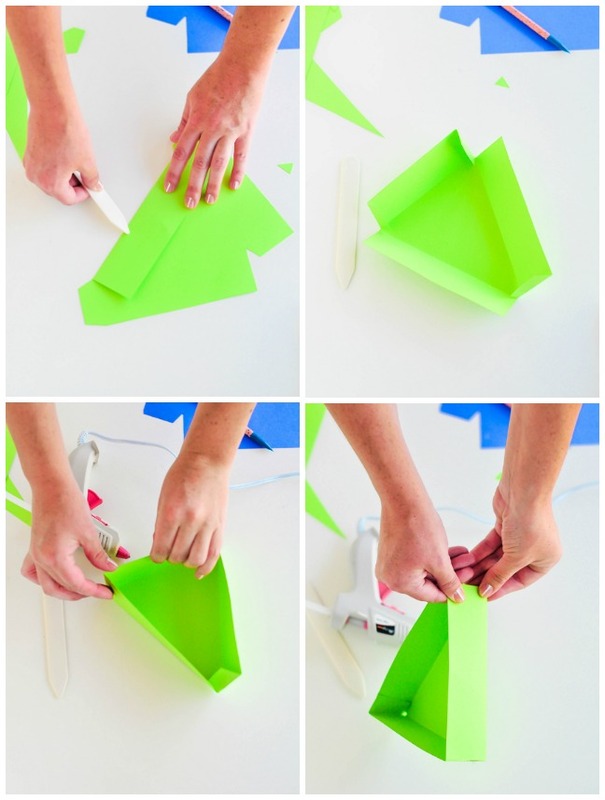 The template for these boxes are included below, and you can make them out of any sturdy paper you have laying around. Party wings problems: solved! 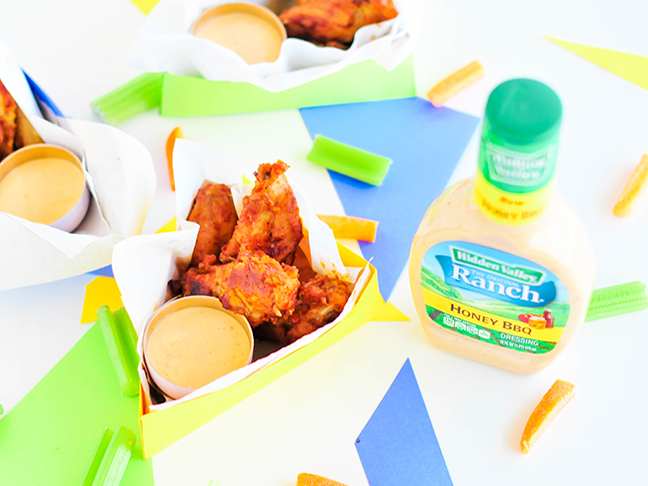 These individual chicken wings boxes are easy to make (pay homage to your note-folding skills back in grade school), and they’re way too cute when filled with wings and Hidden Valley Honey BBQ Original Ranch dressing. 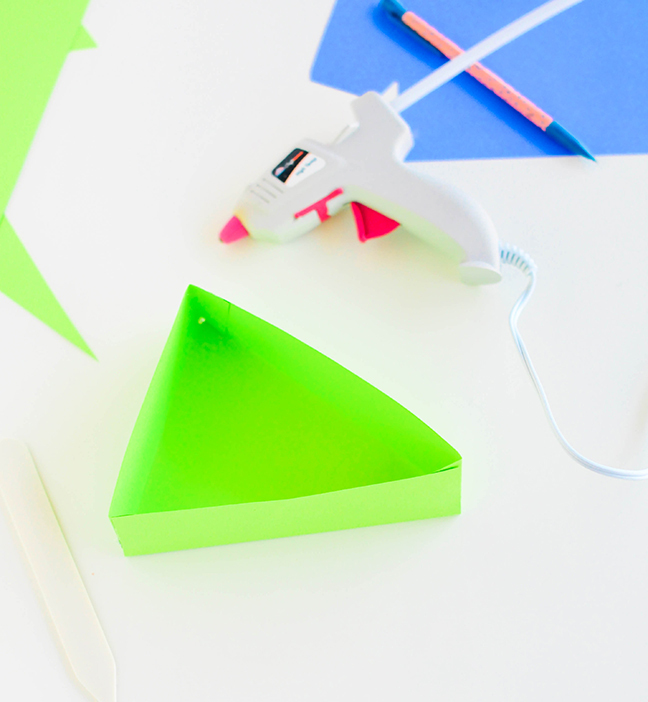 Step 1: Print and cut the triangle box template. 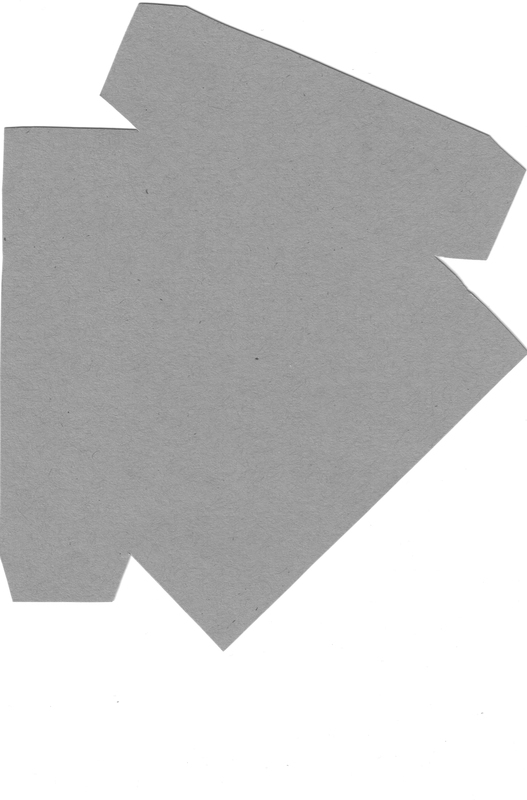 Step 2: Using a pencil, trace the template onto another sheet of card stock and cut out. 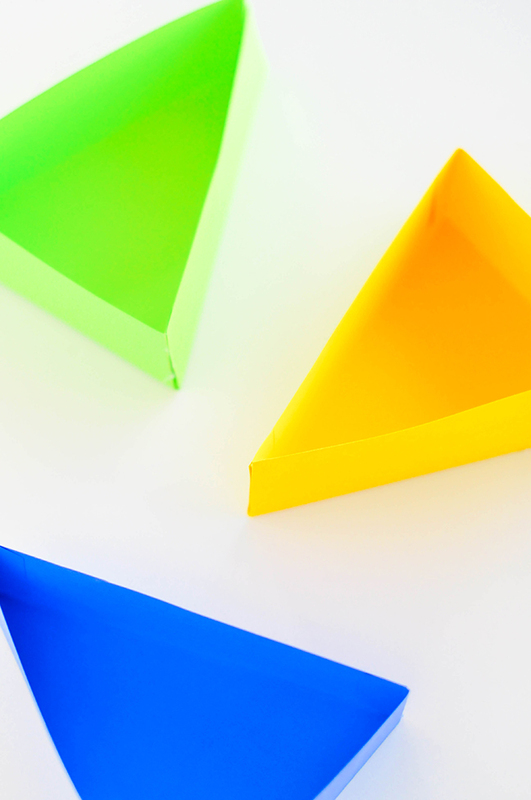 Step 3: Fold and score the small flaps on each edge of the triangle following the photo above. Step 4: Use the hot glue gun to seal the edges together, and assemble the box. 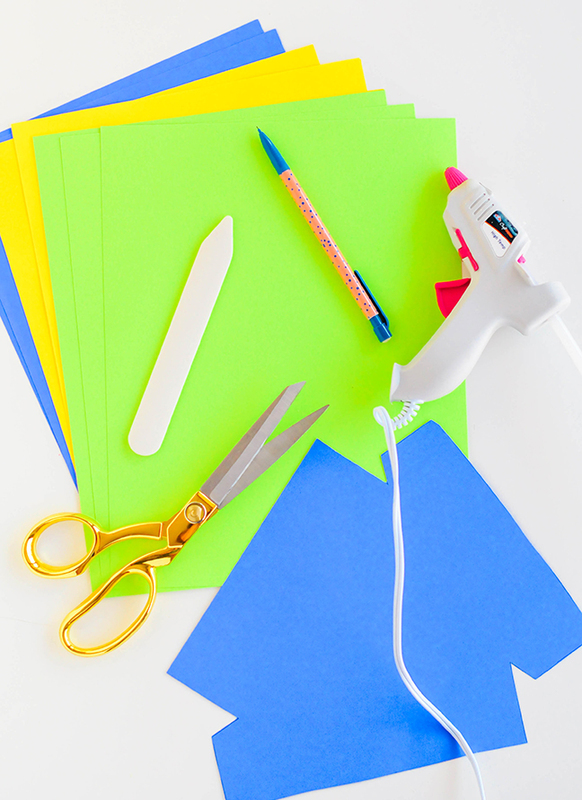 Step 5: Once the hot glue has dried, place a few squares of tissue paper in each triangle box. Step 6: Fill each box with a few wings in your favorite flavor. Step 7: Serve with Hidden Valley Honey BBQ Original Ranch dressing by drizzling it over the wings or pouring a small amount in mini votives or cups to be placed next to the wings. These boxes are the perfect size to give each of your party guests their own individual serving of wings. 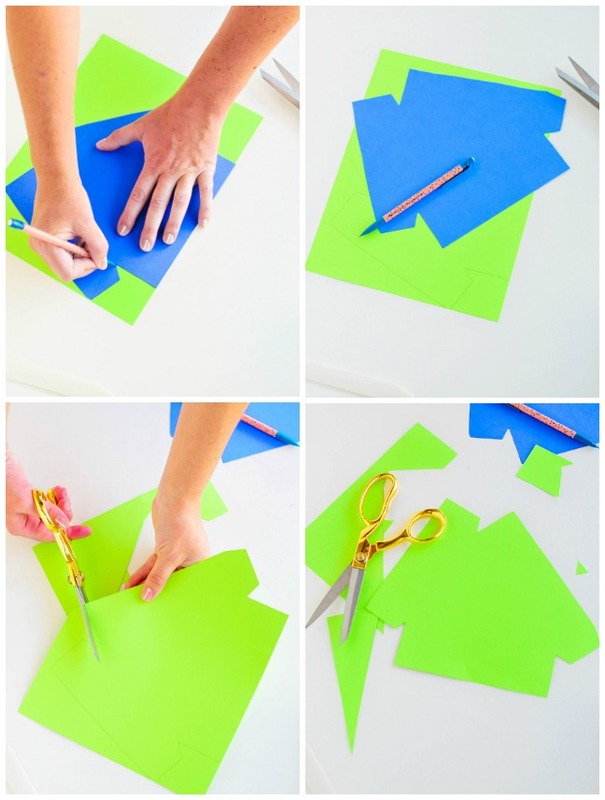 You can also make extra boxes and fill with a slice of pie or your favorite dessert. Now who’s up for a little backyard barbecue?